KUALA LUMPUR: Property developer Mutiara Goodyear Development Bhd targets to launch several high-end property projects with a total gross development value (GDV) of about RM1.6bil in the next 12 months. Hamidon Abdullah says the Malaysian property market is on an upward trend. Executive chairman Hamidon Abdullah said the Malaysian property market was on an upward trend and the timing was just right for the launch of its matured projects. Hamidon Abdullah said the property projects that would be launched (in phases) were the Nadayu Melawati high-end property development comprising luxury bungalows, semi-detached homes, super links and commercial units (GDV: RM850mil). The project is slated for completion by 2012. Other property projects to be launched next year are the Nadayu 92 Kajang (GDV: RM250mil) and Nadayu 28 Sunway (GDV: RM300mil). Hamidon said the company would launch another property project known as Nadayu Penang (GDV: RM450mil) by next year. Interestingly, Nadayu Penang is a property project under a 50:50 equity partnership with Affin Bank Bhd. Hamidon said that with Affin Bank as a partner it would place the company in a stronger financial position. “All these property projects will keep us busy for several years,” he said after Mutiara’s AGM yesterday. Hamidon said the company’s high-end property project this year – Prima Avenue, with a GDV of RM120mil – had been completely sold out and slated for completion in the first quarter 2011. 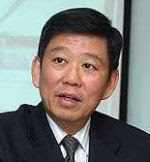 On the company’s performance, Mutiara executive director Lim Beng Guan said the company had taken the option of early adoption on issues of Committee Interpretation 15 (IC 15), which essentially recognises revenue based on completion of project as against the previous practice of percentage of completion. “If we had not early adopted IC 15 and revenue recognition based on percentage of completion of project, Mutiara’s revenue and net profit for the financial year ended April 30, 2010 (FY10) would have been RM124.2mil and RM17.7mil respectively,” Lim said. Mutiara recorded a net profit of RM3.2mil and revenue of RM52.6mil for FY10. Earnings per share for the year under review stood at 1.4 sen and net assets per share was RM1.35. On the offer of 97 sen per share to buy back Mutiara’s shares not held by Atis IDR Ventures Sdn Bhd, a company that currently holds a 52% stake in Mutiara, Lim said Mutiara shareholders were told by their independent adviser PM Securities Sdn Bhd to reject the offer. “Some shareholders had accepted the 97 sen per share offer, while others had chosen not to do so. 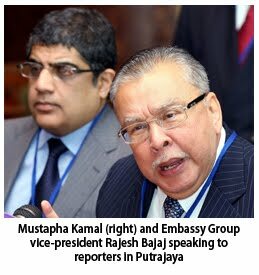 So long as Mutiara is transparent, shareholders can decide on their own accord,” Lim said. The first closing date for the offer is Nov 8. PETALING JAYA: Sunway City Bhd (SunCity) is mulling over office and retail projects to be nurtured into yield-accretive assets which can later be injected into the Sunway real estate investment trust (REIT). The listing of Sunway REIT on July 8 involved the injection of eight assets – Sunway Pyramid Shopping Mall, Sunway Carnival, SunCity Ipoh Hypermarket, Sunway Resort Hotel & Spa, Pyramid Tower Hotel, Sunway Hotel Seberang Jaya, Menara Sunway and Sunway Tower. The listing exercise raised some RM520mil for SunCity’s project development activities, including land purchase. SunCity property investment managing director Ngeow Voon Yean said the divestment and unlocking of the value of the assets marked a new chapter for SunCity. “We are now looking for opportunities in property development or investment to venture into. In the last two years, the ratio of earnings between investment and development property was about 60:40, but post-REIT, it should be around 50:50,” Ngeow told StarBiz. Besides distribution income from its 37% stake in Sunway REIT, SunCity can also channel the funds raised from its assets divestment to other income-generating activities. It recently paid RM129mil to acquire an additional 45% stake in its 51%-owned unit, Sunway Lagoon Sdn Bhd. Ngeow also said the funds would be used to develop more office blocks and retail-related projects. There are 100 acres still undeveloped in the 800-acre Bandar Sunway Integrated Resort, and SunCity also has other smaller parcels of land in Kuala Lumpur. He said the first project kicked off The Pinnacle in Bandar Sunway, a 25-storey corporate office block with net lettable area of 560,000 sq ft that was scheduled for completion by 2013. Next up would be the development of a parcel of land beside Sunway Pyramid Shopping Mall. Currently referred to as SP3, this would be a retail and serviced apartments development with vehicular and pedestrian links to the mall. “The supply of Grade A and international standard office and commercial space in this part of the Klang Valley is still in short supply. We want to build up Bandar Sunway into a location of choice for quality offices to attract blue chip office tenants here,” Ngeow added. He said the new state-of-the-art office and commercial buildings would qualify as green and sustainable buildings. “The aim is to integrate and link all the office and retail complexes in Bandar Sunway with covered walkways to make them pedestrian-friendly and promote more walking instead of driving within the township. This will lower the carbon footprint of the township and is also in line with the LOHAS philosophy that Sunway has embraced from the start, ” he added. LOHAS (Lifestyles of Health and Sustainability) is a term that describes the market and lifestyle of consumers interested in issues of health and fitness, personal development, the environment, sustainable living and social justice. Ngeow said a new commercial project now underway was Sunway Velocity in Cheras, comprising office towers, serviced apartments, shoplots and a shopping mall. The RM1.5bil project on 22 acres will be completed in 2015. It will have a total net lettable area of 850,000 sq ft and gross development value of RM1.5bil. SunCity also plans to build a 27-storey office building with a net lettable area of 350,000 sq ft, Sunway Tower, in Jalan Ampang, Kuala Lumpur. Plans for the project on a one-acre site are still being firmed up. “We have a couple of other projects on the drawing board and will keep our project pipeline going for synergistic growth between the various divisions of SunCity,” Ngeow said. PETALING JAYA: Sunway City (S’pore) Pte Ltd (SCS), a wholly owned subsidiary of Sunway City Bhd (SunCity), has entered into a joint venture to develop a project with an estimated gross development value of RM4.3bil in Sino-Singapore Tianjin Eco-City, China. SunCity told Bursa Malaysia yesterday that SCS had signed an equity joint-venture (EJV) contract with Sino-Singapore Tianjin Eco-City Investment and Development Co Ltd (SSTEC) to set up a joint-venture firm for developing 27.96ha in the township. “The preliminary feasibility study of the proposed development features mixed residential and commercial development complemented by integrated and high quality amenities,” it added. SunCity said the proposed development would span five years with the earliest start in March 2011 and an expected completion in mid-2015. SCS will be the majority shareholder of the EJV company. SSTEC, the master developer for the Tianjin Eco-City, is a 50:50 joint venture between a Chinese consortium led by Tianjin TEDA Investment Holding Co Ltd and a Singapore consortium led by the Keppel group. Sime Darby Property Bhd is achieving a high rate of sales for three townships -- Denai Alam in Shah Alam, Bandar Bukit Raja in Klang and USJ Heights in Subang Jaya. The three phases of terraced houses at Denai Alam boasted an average 85.6 per cent take-up rate, while the two phases of Bandar Bukit Raja averaged 93 per cent take-up, it said in a statement today. The four recent phases at the USJ Heights averaged 90 per cent take-up, with one phase sold out within three months from launch, it said. Managing director Datuk Tunku Putra Badlishah said the trio of recent success stories "speaks volumes for the resilience of Kuala Lumpur's property market". "The sales achieved at the three townships demonstrates the continued strong demand for landed property in well-planned communities within the Klang Valley," he said. Going forward, he said that there will be new two launches in USJ Heights and a launch of Lavender Park in Denai Alam, both scheduled for next month. Sunrise Bhd hopes to achieve sustainable profit and revenue growth for financial year ending June 2011. "We have good products for us to be sustainable and it will allow us to further grow further," executive chairman Datuk Tong Kooi Ong told a media briefing after the company's annual general meeting in Kuala Lumpur today. Sunrise's pre-tax profit for financial year ended June 30, 2010, fell to RM180.876 million from RM210.911 million in the same period of 2009. Revenue declined to RM590.742 million from RM803.922 million previously. Tong said Sunrise would launch the second phase of Quintet in Richmond, Canada sometimes in February or March next year. "The first phase was launched in early October. "The gross development value (GDV) of the project is about C$400 million (C$1=RM2.92)," he said. Sunrise, he said, would launch the MK 20, a mixed development along Jalan Kiara, consisting mostly of condominiums, serviced apartments and some retail units, in the middle of next year. MK 20 has a GDV of about RM1 billion, he said. Tong said Sunrise would also undertake another project, a landed and gated residential development in Kajang, Selangor, which is located near The Mines. "The 23.3-hectare development involves an innovative concept of homes, beautiful landscape and facilities. "The GDV of this project is about RM500 million," he said. He said Sunrise would also venture into the hospitality business in operating serviced apartments. PETALING JAYA: Property developer Sunrise Bhd plans to launch four projects with a total gross development value (GDV) of RM3.2bil next year. This will support expectations of turning in a better financial performance in the current financial year ending June 30. Executive chairman Datuk Tong Kooi Ong said the immediate project to hit the market would be the Solaris Tower with a GDV of RM480mil by this year or early next year. “Next would be our project in Vancouver, Canada- the Quintet- where the launching of the second phase is expected to be in February or March next year. “We already launched the first phase last month and all units were sold out much faster than expected. The Canada project has a total GDV of 400mil Canadian dollars,” he said. By middle of next year, Sunrise will unveil its MK20 with a GDV of RM1bil, a build-and-sell mixed development project in Mont’ Kiara. “Finally, we should see the launch a premium landed development in Kajang, next to the Mines Resort with GDV of around RM500mil by year-end,” Tong told reporters after the company’s AGM today. Property developer Mutiara Goodyear Development Bhd has lined up four projects worth RM2.1 billion for the next 12 months to expand. Executive chairman Hamidon Abdullah said he was bullish on next year's outlook, describing the market as buoyant. Mutiara's new projects in Bandar Sunway, Kajang and Cyberjaya in Selangor and in Butterworth, Penang, are gated communities targeting the middle-to upper-income groups. They are expected to appeal to buyers looking for a safe and secure environment. "In my belief, properties are not being offered to the public in a wholesome manner. We have to create a community with proper amenities and landscaping. Then the products will move. "I do not expect a bubble if we put decent properties in the market for people to live in rather than flip," Hamidon said yesterday in Kuala Lumpur after the company's shareholder meeting. Mutiara is launching flagship project Nadayu 92 in Kajang, Nadayu 28 in Sunway, Nadayu 290 in Butterworth and an un named project in Cyberjaya. Hamidon said Nadayu 92 is its attempt to deliver an affordable range in a gated environment and is optimistic of a good response. Hillside development Nadayu 290 will feature three condo-minium blocks with more than 150 units and seven bungalows, worth more than RM400 million. Nadayu 290 is touted to set a new benchmark for Penang where green technology is concerned. "We are working with big international names to integrate green technology into the development. It will be a reference project for Penang, placing us on the map with the big boys," Hamidon said. In the financial year ended April 30 2010, Mutiara posted RM3.2 million net profit on revenue of RM52.6 million. Hai-O Enterprise Bhd's venture into the property business will add more risk to the group, given that its multi-level marketing (MLM) business is still trying to recover locally, says OSK Research. "While the venture may help generate future earnings and reduce its reliance on the more volatile MLM business, our concern is that this will further divert its focus on its current businesses and add risk to the group if not executed properly," it said in its research note today. The research house said apart from the risk of venturing into a non-core property business, in which Hai-O has no expertise, the group's MLM business was still struggling from the impact of more stringent rules on direct marketing. The property venture is the second non-core business Hai-O has gone into after it diversified into the heat transfer technology in August 2009. OSK said given the recovery in buying sentiment among Hai-O's members was taking longer than expected (members were ordering less even for the saleable products), the management believed the MLM division would need more than six months to recover. "Nonetheless, the Hai-O management is confident that with all the measures put in place by the task force set up to beef up performance, its MLM division would regain momentum and continue to drive the group's earnings," it said. Malaysia’s central bank will clamp down on any speculation that threatens to create a property bubble, the central bank chief said today. Bank Negara Malaysia (BNM) Governor Tan Sri Zeti Akhtar Aziz said the central bank wanted to promote house ownership but it had “wide ranging instruments" to deal with any excesses in the sector. “For first time houseowners and perhaps even the second one, any new rules would not apply. It would only be for those that want to purchase 10 units at time, I believe that happens sometimes,” she told reporters on today. Although Asian policymakers are mostly concerned about hot money from developed countries, CIMB notes that Malaysia has the highest household debt in Asia outside of Japan. It said household debt hit 76 per cent of GDP in 2009 and is expected to ease to 74.6 per cent by the end of this year, making domestic consumption sensitive to further interest rates rise. House prices in Malaysia rose 32 percent between 2000 and 2009, but some areas of the country have seen a big rise this year. A condominium near the business district in the capital was recently sold for US$12 million, making it among the most expensive homes sold in recent years, a local newspaper reported in July. Policymakers in Hong Kong, Singapore and China have imposed measures to calm their heady property markets this year as investment flowed into Asia from developed countries. Zeti said Asia was well placed to deal with these capital inflows due to better developed financial markets, rigorous surveillance and a larger regulatory policy toolkit. “We have more rigorous surveillance, we know almost real time about these flows, where they come from and where they are placed, whether equities, bonds or deposits. We are better positioned now to deal with it,” Zeti told reporters. To a suggestion on implementing a single Asian currency, Zeti said she was not in favour of such a move as the objective of achieving greater prosperity for the region could be achieved at a much lower cost. Several companies made presentations to the National Key Economic Area (NKEA) lab about three months ago on the Kuala Lumpur-Singapore high-speed train project, industry sources say. Among them were YTL Corp Bhd and Hartasuma Sdn Bhd, which was said to be partnering a Chinese state-owned firm. Hartasuma, a Class "A" Bumiputera contractor, is a member of Ara Group, founded by Datuk Aisamar Kadil Mydin Syed Marikiah and Tan Sri Ravindran Menon, director and executive director of Subang SkyPark Sdn Bhd respectively. Its track record includes repair and overhaul of passenger coaches for KTM Bhd and civil works (Kuala Kubu Baru-Tanjung Malim Halt) for the Rawang-Ipoh electrified double tracks. Business Times understands that some of the companies have proposed to undertake the high-speed rail project for between RM8 billion and RM14 billion. A government source said the project could be worth RM10 billion to RM12 billion and that it would take five to eight years to complete as it will cover 300km. The source said that cost would depend on the type of technology deployed, whether it is magnetic levitation (maglev) or conventional, and how the tracks are aligned. Maglev will cost more than conventional, but requires less maintenance, is safer and faster. The system also uses more electronics and essentially involves "non-contact electromagnetic levitation". "If the alignment is built along the coastal road, then it would involve a lot of land acquisition and this would add to the cost," he said. The source added that the project would depend on a study by the Treasury, the Performance and Delivery Unit (Pemandu) and other government agencies. It is believed that Pemandu, which is leading the NKEA lab, has invited officials from the Ministry of Transport, the Land Public Transport Commission (Spad) and City Hall to attend briefings held separately by the companies. 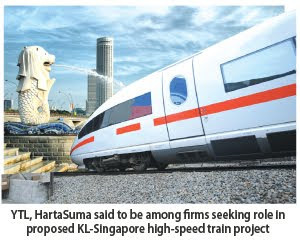 The high-speed train project was mooted by YTL in 2006. It had proposed to undertake the project for RM9 billion, partnering Germany's Siemens, a global expert in high-speed rail technology. The YTL proposal, however, was shot down because of the high cost involved. Malaysia is mulling over a high-speed rail linking Kuala Lumpur and Singapore that will cut travel time between the two cities to 90 minutes. Plans would require the approval of Singapore, which has expressed its interest in the project. However, the government has not given a firm approval, the source said.